It's nearing Christmas in a small town in Germany. Hans the shoemaker works into the night, purposely shut away from the holiday festivities around him. Alone in his shop, with no family and few friends, Hans has never learned the true meaning of Christmas. While he mocks the townspeople's merry preparations, Hans is visited by an angel who brings the promise of a very special gift. Hans eagerly awaits the return of this angelic messenger and crafts a gift to give in return--the finest pair of red boots ever made. As the story unfolds, Hans learns the joys of sharing and fellowship, and finally embraces the spirit of Christmas as he does indeed receive the ultimate gift -- a gift from God. A wonderful program to teach children the true meaning of Christmas. 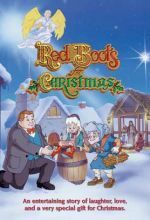 Red Boots for Christmas, based on the German tale Die Roten Stiefel by Dr. Paul Crystoph, is a delightful Christmas cartoon for children. The 28-minute story follows Hans, a German shoemaker, who has never quite learned the meaning of Christmas. Oh, he knows it's about the birth of Jesus, but he doesn't quite understand that Jesus was God's gift to the world. Hans is a bitter fellow with no friends and no happy memories of Christmases past. The story focuses on why we give gifts at Christmas that it is a reflection of the gift that God gave us in Jesus. One night, Hans is visited by an angel who tells him that he is going to receive a gift from God. Hans is overjoyed by this news and wants to find the perfect gift to give back to God. Finally, he decides to make a pair of beautiful boots out of special red leather he's been saving. On Christmas Eve, Hans waits for God to show up with His gift for Hans. While Hans is waiting, having made a wonderful Christmas dinner, three people from town show up at his door. Hans invites them in to share dinner with him and they have a wonderful time together. But God never shows up for dinner. As Hans mopes in disappointment, the angel appears to Hans again. He explains to Hans that God's gift to him was the fellowship he enjoyed with these three new friends. Finally, Hans understands. And in response, he gives the beautiful red boots to the poorest girl in the village. Hans has finally learned the value of giving gifts to one another. This program is best suited for children younger than twelve. It would make for fun viewing as a family. Sunday school teachers can also use it as a way to teach kids about the value of giving. Set in a small town in Germany, this animated video tells the story of Hans the shoemaker, an angry jealous man who has withdrawn from the social life of the community. He keeps hidden a piece of beautiful red leather he is saving for some unspecified creation, but will not make boots from it for Adelaide, the whiny, spoiled daughter of the mayor when they come to shop for her Christmas gift. That night, Hans is visited by an angel who tells him to expect a wonderful gift from God. The next day a poor old woman, Gretchen, brings Hans a worn out pair of shoes to repair for her granddaughter's Christmas gift, but since she can only pay with kindling wood, Hans rejects the job. She reproaches him with the Christmas story as the reason for sharing gifts during the season. Hans wants to repay God's gift, so he asks Gretchen for ideas. She suggests giving God his sins, weaknesses, and sorrow in exchange for God's forgiveness, strength, and joy. Hans is becoming transformed by his efforts to find a gift for God, but is still clueless as to how to bestow the gift. He decides to make a beautiful pair of boots from the red leather, but still will not sell them to the mayor's daughter. Later, he sees Gretchen's granddaughter crying from the cold, and gives her the boots. The mayor's daughter is so abashed by Hans's generosity that she too, gives her Christmas gift to the little girl. Produced by Lutheran Hour Ministries, this video sends a very strong message of Christian import that will be welcomed by Christian schools and libraries. The plot and characters are accessible to younger children, while the deeper religious message could be well understood by older children. This animated story is based on the book Die Roten Stiefel, written by the late Paul Chrystoph. It's a touching drama about Hans the shoemaker, who is a Scrooge-type character. He hates Christmas and everything about it, until he's visited by an angel in the night who tells him that he's going to receive the greatest gift of all this year from God. This revelation turns Hans into a cheerful, hopeful man. The next day he forges a pair of little red boots from his most treasured piece of fine, red leather. Hans plans to give these boots as a special gift to God when God comes to give Hans His gift. But God never comes in the way he expects. Hans eventually learns that the special gift God is giving him this year is the gift of Jesus as his personal Savior and Lord. 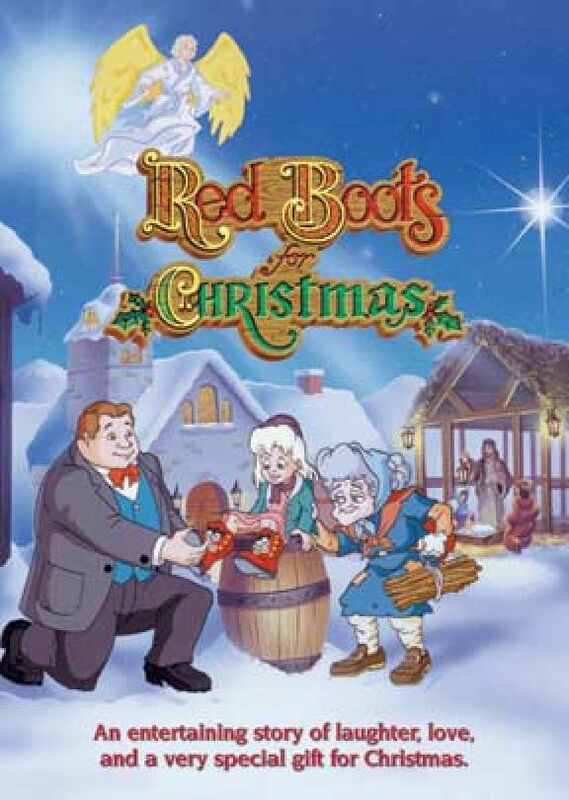 Hans is so changed by the understanding of this precious gift that he decides to give his red boots to a poor, shoddily-clad girl. So giving is his spirit, that when Hans presents her with the boots, a tear came to my eyes. This fine Christmas tale - presented by the Lutheran Hour ministries through the Lutheran Church Missouri Synod - captures the true meaning of giving in a story that reaches even the youngest children. It's a "thumbs up"; for a video that should be in Blockbuster Video stores, as well as Christian venues! This was an excellent movie in content and presentation showing the true meaning of Christmas. The children ages 4-12 sat very good watching the whole thing. I highly recommend it.